Federally appointed receiver Michael Goldberg filed his interim report last week, updating the government and other stakeholders on the 2017-18 ski season and future plans for the resorts. Though financial details were scant, the receiver stated that Jay Peak ski season "ended strong and combined with cost savings, finished with more cash on hand than last year." At the same time, Burke Mountain and its associated properties lost money again. The long process of title work at Jay Peak is nearly complete, leading the receiver to recruit "a prominent investment banker" to sell the resort. Interested parties will be shown the resort this fall and winter, with the goal of selling it next year. Court approval will be required before finalizing the sale of the resort. Meanwhile, the sale of Burke Mountain is on hold, as Phase VIII "is still short of the requisite job creation." The receiver is planning "to fund additional construction" in order to create enough jobs for the project's investors to satisfy EB-5 requirements. A Federal program created by Senator Ted Kennedy and championed by Senator Patrick Leahy, EB-5 allows immigrants to obtain a green card in exchange for investing $500,000 in a government endorsed business that creates ten jobs. 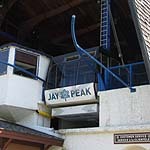 In the case of the Jay Peak program, 20% to 25% of the investment was taken by developers and agents as fees. The SEC took control of the properties on April 13, 2016, alleging that Ariel Quiros and Bill Stenger were running a Ponzi scheme that was defrauding investors. The businesses were placed in receivership under Michael I. Goldberg, with Leisure Hotels and Resorts of Kansas City appointed to run the resorts. Both Quiros and Stenger have settled civil suits with the State of Vermont and Securities and Exchange Commission, resulting in the surrendering of the properties and fines. Criminal charges have yet to be filed. None of the government officials involved have been penalized. The resorts remain under control of the government appointed receiver.